As many have probably noticed, this week is a slow one in terms of major racing action—there’s only one graded stakes race on the agenda, and no official Kentucky Derby prep races are scheduled to be run. Was the Rail Slow on Breeders’ Cup Saturday? If you were reading the comments on Unlocking Winners in the lead-up to the Breeders’ Cup, you saw how many times I spoke of the rail being slow and deep on the opening weekend of the Keeneland meet—it was for this reason that I thought Runhappy and Exaggerator would be hard to beat in their respective Breeders’ Cup races, as both had run very well despite racing on the rail during their final prep races. Now, with the passing of time, I have come to suspect that the rail was slow on Breeders’ Cup Saturday as well. As you might recall, my theory about Keeneland’s slow rail was based on the fact that it had rained heavily before opening weekend—the track was sloppy, then muddy, and even as the track dried out, the rail remained the slowest part of the track. As you might also recall, it rained heavily in the lead-up to the Breeders’ Cup as well—remember how the turf races were run over a very wet course? My theory is that this rain had the same effect on Breeders’ Cup weekend as it did on opening weekend—making the rail slower and causing the track to favor horses racing on the outside. 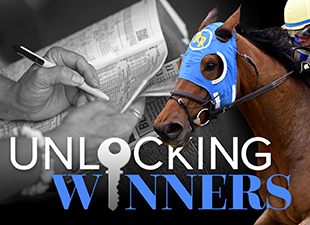 Take a look at the evidence from Breeders’ Cup Saturday. Tonalist, one of the favorites for the Breeders’ Cup Classic, raced along the rail and never seriously challenged, tiring to finish fifth by 12 ½ lengths. In his next start, over a fair track, he rebounded to win the Cigar Mile (gr. I) at a distance short of his best. Also in the Classic, victorious American Pharoah generally stayed one path removed from the rail, and even went a bit wider on the far turn despite having a clear lead. In the Breeders’ Cup Sprint, Runhappy rallied wide to win over Private Zone, who stayed off the rail throughout, while Favorite Tale raced on the far outside and finished third. The Filly & Mare Sprint yielded even more intriguing result—Wavell Avenue rallied outside to win easily while Taris, one of the favorites, stayed on the rail to finish third. In the meantime, Cavorting overcame an extremely wide trip to finish fourth, and given the ground that she lost, she was expected to rebound strongly in the La Brea Stakes (gr. I) at the end of December. Instead, she finished third—evidence that her wide trip in the Breeders’ Cup might not have been as big a disadvantage as it appeared. In contrast, the rail-running Taris has returned to win her next two races in convincing fashion, albeit at longer distances. The reason I’m mentioning all of this is because the Breeders’ Cup Juvenile exhibited some striking examples of horses that may have benefitted from wide trips. In the aftermath of the race, much was made of the fact that Nyquist was able to win the race despite racing very wide every step of the way, which I now feel may have been a meaningful advantage. Interestingly, Swipe and Brody’s Cause also rallied wide to finish second and third, while Exaggerator could only finish fourth after a ground-saving trip. At the time, I was disappointed with Exaggerator’s effort—he seemed to get a pretty good trip, yet failed to rally as I’d hoped—but taking into account the possibility that the rail was slow, his three-length defeat is much more impressive. Sealing the deal for me is the fact that Exaggerator returned three weeks later in the Delta Downs Jackpot Stakes (gr. III) and took a big step forward over a fair track, winning by a nose over the talented Sunny Ridge. Time will tell if my theory proves correct—more evidence may come along to disprove it—but for the time being, I’m going to be looking at the Breeders’ Cup Juvenile from the perspective that horses racing on the outside had an advantage, and I will likely pick against Nyquist, Swipe, and Brody’s Cause in their comeback races this year. Where Are the 100+ Beyer Speed Figures? In many years, you can judge the strength of a Kentucky Derby field by the number of horses that have earned Beyer speed figures of 100 or higher. As we discussed in detailed fashion last year (with considerable and valuable contributions from Monarchos Matt! ), when a Derby field contains several horses that have earned Beyers of 100 or higher—and particularly if these horses have earned multiple 100+ figures—the Kentucky Derby tends to unfold in more predictable fashion, with the favorites faring very well and generating chalky results. In contrast, when there are very few horses in the race with 100+ Beyers, that’s when the most surprising results tend to unfold. A great example is the 2011 Kentucky Derby, when Soldat was the only horse in the race that had earned a Beyer of 100 or higher. That year, the superfecta was swept by horses going off at odds of 20.90-1, 8.50-1, 9.30-1, and 23.10-1. In contrast, 2015 was an extremely strong Kentucky Derby in terms of Beyer speed figures, with eight of the eighteen starters having reached the 100+ Beyer plateau. The talent of the top contenders led to a very predictable outcome—American Pharoah won as the favorite while four of the top five betting choices swept the superfecta, which paid just $634.10 on a $1 ticket. So what does this mean for 2016? Obviously, we’re still early on the Derby trail, but so far, not a single horse in this crop has earned a triple-digit Beyer speed figure; not even the stellar filly Songbird, who came closest with a 99 in the Breeders’ Cup Juvenile Fillies. The recent prep races have been on the slow side—Flexibility earned a 90 in the Jerome, Collected posted an 80 in the Sham, Mo Tom ran an 88 in the LeComte, and Discreetness earned an 83 in the Smarty Jones. Again, there’s a lot of time for this trend to change, but at this point—about 3 ½ months out from the Kentucky Derby—it’s beginning to look as though this could be a slow year in terms of Beyer speed figures, which could be an enticing proposition for handicappers, since slow Beyer speed figures suggest the potential for a wide-open and unpredictable Kentucky Derby. If you have any thoughts or opinions on these topics, or if you have Derby-related handicapping topics of your own that you’d like to discuss, feel free to share them in the comments section of this post!